We recently found ourselves in Barcelona with the gift of about eight hours to explore between the time our bus arrived from Costa Brava and our flight home. We've been living in Dublin, Ireland for nearly five years now and have explored Europe in depth. While definitely a top destination, we'd been to Barcelona twice already so we wanted to get off the beaten path a bit this time to get a more local flavor. We focused in on El Poblenou, the up and coming Tech quarter of Barcelona and Poble-Sec, a neighborhood just a couple Metro stops from La Rambla but is still a world away from the hoards of tourists that descend on Barcelona. Here are eight highlights (about one per hour!) of our afternoon adventure. A small shady park featuring concentric circles of trees lies just outside the bus terminal at l'Estació del Nord. 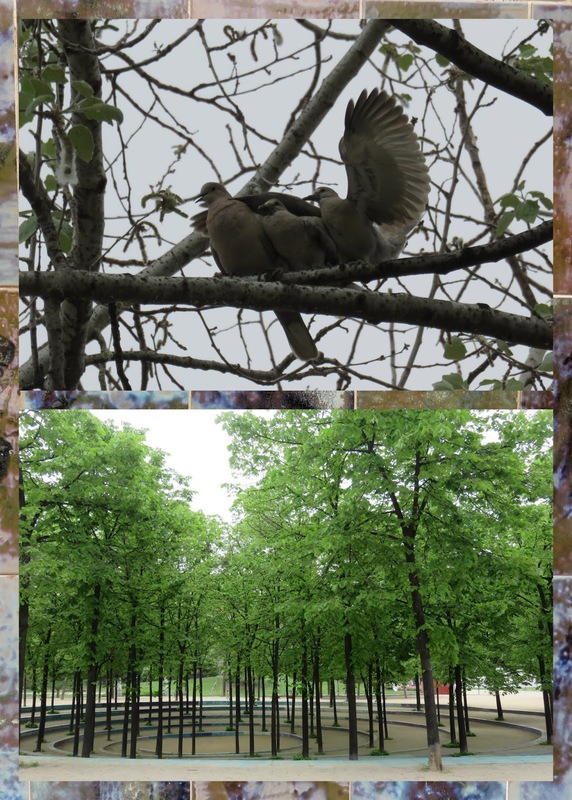 We sat on a bench for a few minutes admiring the scenery and the playful doves overhead. 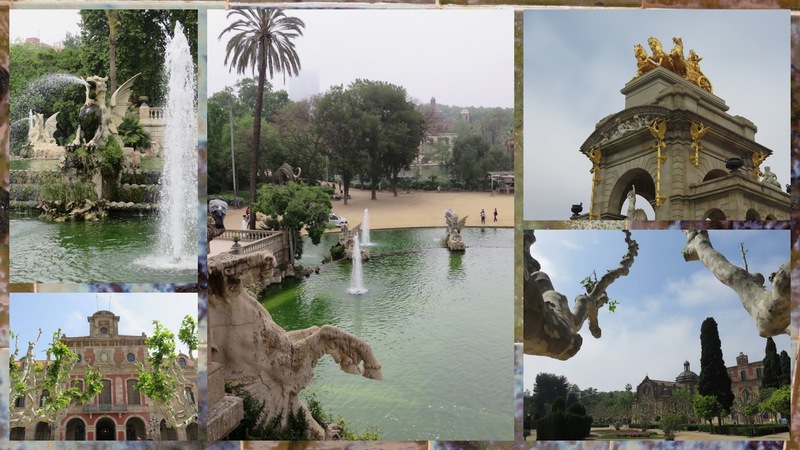 Ciutadella Park is just a short detour between the bus terminal and El Poblenou and we took time to stroll arm in arm past the fountains and pink Parliament of Catalonia. I love the atmosphere in Barcelona. Old fashioned restaurants and bars that have been around for years beckon to passersby with quaint neon signs. 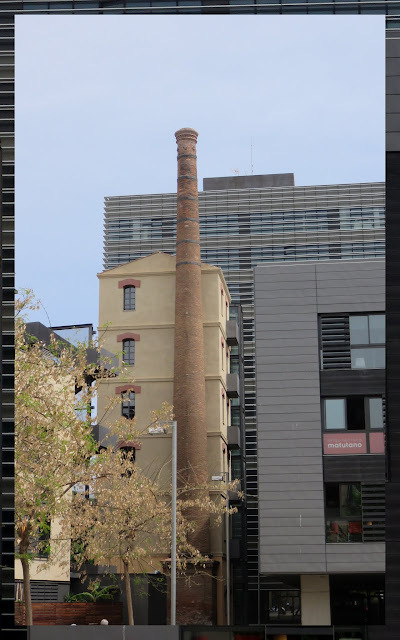 El Poblenou used to be a center of heavy industry in Barcelona. All that changed at the start of the 21st century when plans were implemented to turn El Poblenou into a thriving innovation district. This was largely deemed successful and today a stroll through the neighborhood showcases old meeting new in the look and feel of the architecture. 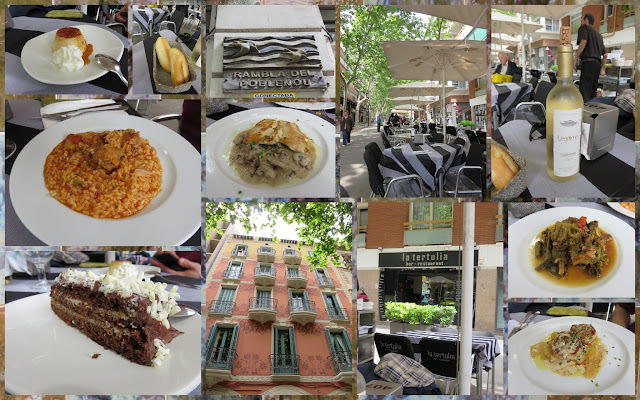 The sun was shining brightly and a cool breeze filled the air as we sat down to lunch at La Tertulia along Rambla del Poblenou. For just 10 EUR, we were treated to a 3-course lunch with a bottle of wine. The food was excellent and the relaxing atmosphere made the experience even sweeter. I could get used to this! 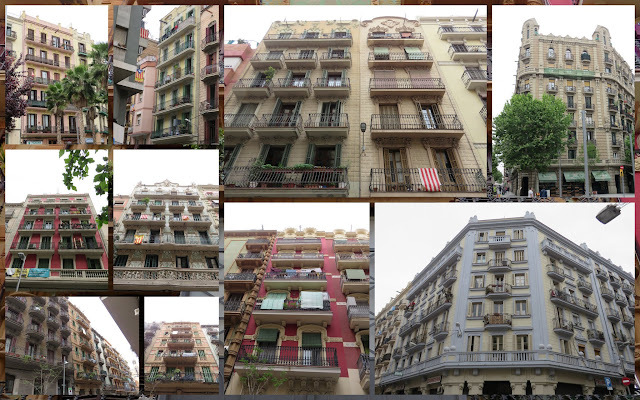 We moved on by Metro to Poble-sec where we took a walk to orient ourselves in the neighborhood and admire the stately apartment blocks that give the area a regal feel. 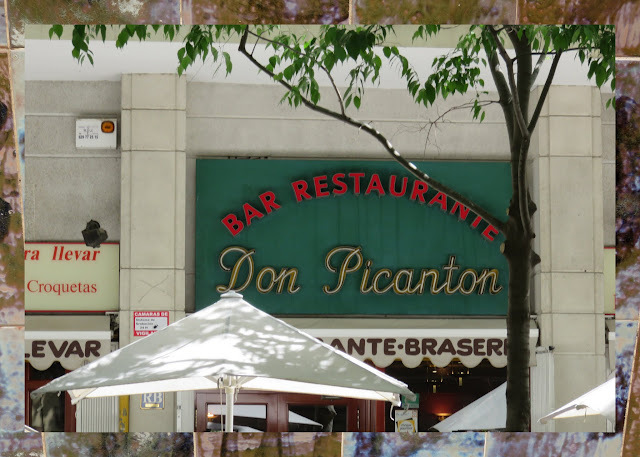 Like El Poblenou, Poble-Sec also seems to be a neighborhood in transition. We spotted Parc de les Tres Xemeneies which was set on the site of an old factory. Edgy skaters and street art collide with this high end neighborhood. The park definitely captured our attention as we walked past. 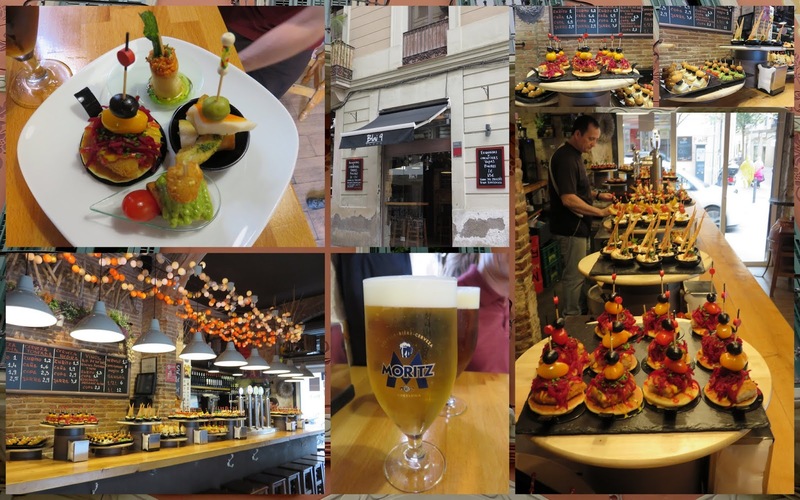 We finished our brief stay in Barcelona with a real treat: Tapas at Blai 9. 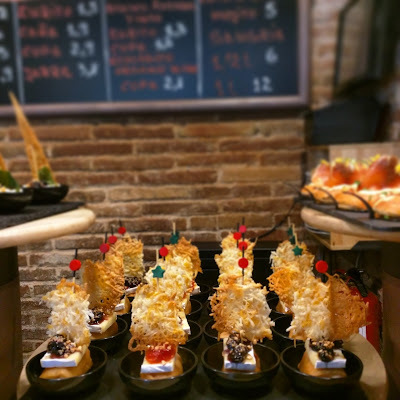 Poble-sec features an array of restaurants and tapas bars along pedestrianized Carrer de Blai. We peeked into Blai 9 and the array of imaginative bites on display drew us in. Each tapa is nestled in a color coded plate so we took what we wanted and then the bartender counted up the plates and gave us our bill at the end. The tapas were between 1-1.50 EUR each. Since both El Poblenou and Poble-sec are a bit off the standard tourist trail, I thought I'd end this post with a map of some of the key areas that we covered. Enjoy! 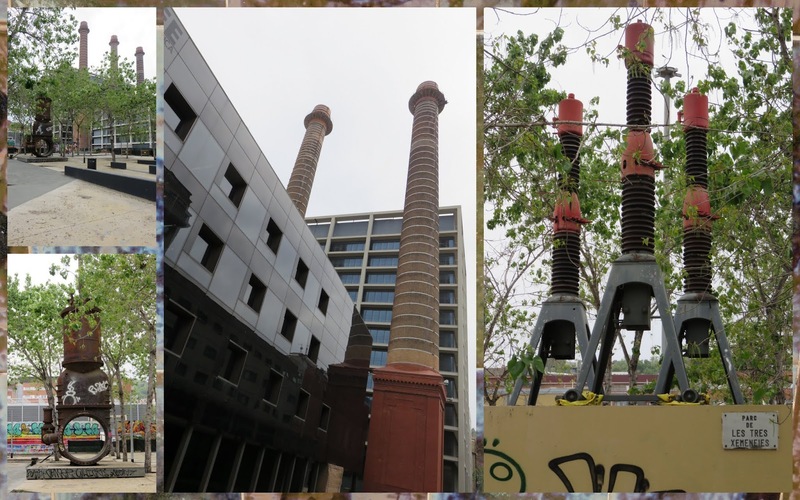 Exploring El Poblenou and Poble-Sec neighborhoods in Barcelona, Spain.